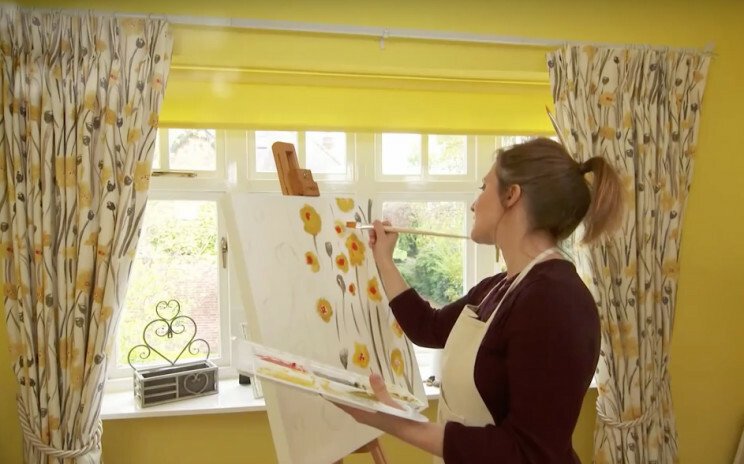 Hillary’s blinds promo ﬁlm for VPoint TV for this one I was an ‘artist’, using the beautiful curtains as inspiration for my painting ! Another Murder Mystery for Art Deco Productions at Belton Woods- nice little job (2 hander) in the large golﬁng hotel. Played alongside Martin Gaisford- the number 1 Inspector Poirot look-alike!